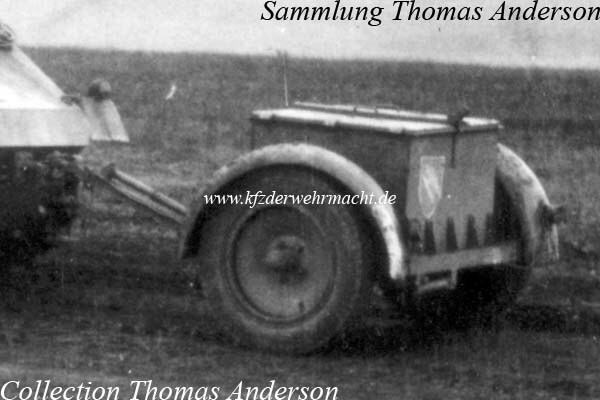 The Anhänger (1achs) für Munition (7,5cm) (Sd. Ah. 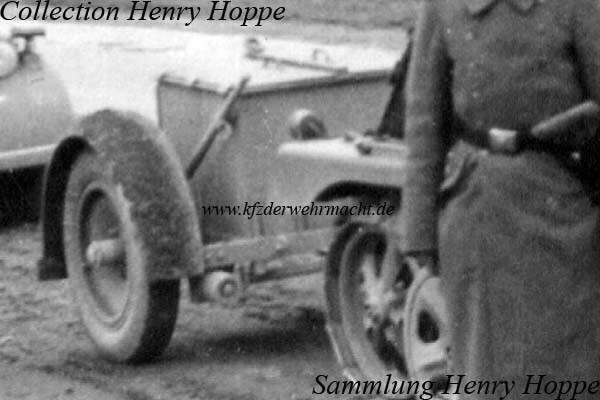 32/1) was used as ammunition transport trailer for the 7.5cm ammunition of the StuK L/24 of the Sturmgeschütz III. This Sd. Ah. 32/1 was towed by a Sd. Kfz. 252 armoured ammunition carrier. The box of the Sd. Ah. 32/1 was made of sheet steel and was not armoured. 64 rounds without cases could be transported in the box in upright position. A spade was fitted to the right side of the box.